What an... exciting day it’s turning out to be: while Hillary Clinton addressed the Planned Parenthood Action Fund Friday, seagull dipped in tikka masala Donald Trump headed to the Faith and Freedom Conference, where he was briefly interrupted by protesters from the women’s rights group Code Pink. 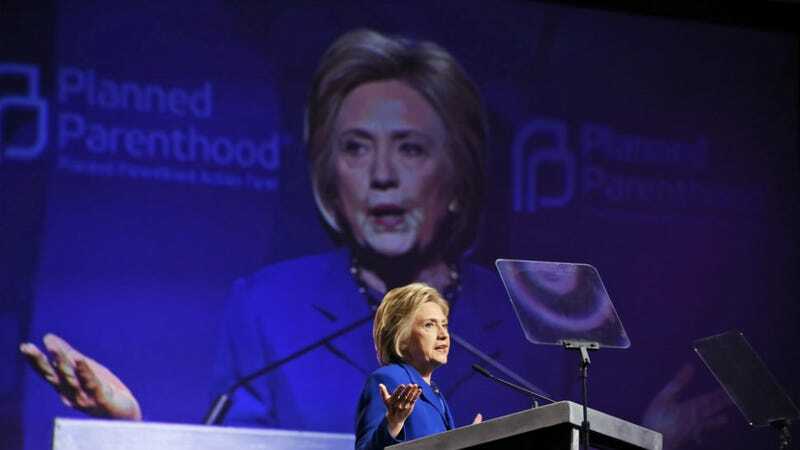 In her first major speech since clinching the Democratic nomination, Clinton laid out an extremely ambitious reproductive rights agenda in her remarks to the PPAF, including promising to repeal the Hyde Amendment, which largely bans federal funds from paying for abortions except in narrow, state-by-state instances. And unlike in the Democratic debates, she clearly and unambiguously named abortion access as a fundamental priority, worth defending.